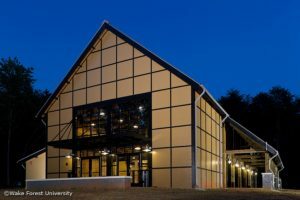 The on-campus student social venue, known as The Barn, was awarded LEED Silver certification for new construction on April 19, 2012. The building, designed to host parties and events on campus, is located in the woods near Palmer and Piccolo Residence Halls and is surrounded by wildlife habitat. There is no parking directly outside the venue, which is instead accessible by a walking path. Large garage-style roll-up doors enable the Barn to serve as an open air space in nice weather, with energy-efficient fans cooling the space in the hottest months. The energy-saving features of the building resulted in a 38.5 percent reduction in energy use, compared to a typical building of its type. The Barn was also the first building on campus to feature solar electric PV cells. The 3.7 kW solar PV system, installed by Volt Energy, consists of 16 panels that produce 4825 kW-h of clean solar energy per year. Though the panels alone cannot power the building, they offset the fossil fuel-generated energy consumed by lights and fans in the venue, particularly during the sunny North Carolina summer months. “The (LEED) certification is important, but what’s more important are the ideas behind the certification – to make the building as efficient as possible,” Callahan said. The Verizon Center in Washington, D.C., is set to receive a jolt of electricity later in the year. While fans of the NHL’s Washington Capitals and NBA’s Washington Wizards fill the arena with their vocal energy — both teams finished at or near the top of their leagues this past season — the center will be receiving its actual energy from a different source: the sun. Monumental Sports and Entertainment, which owns and operates the Verizon Center, will be receiving solar power in a deal with WGL Energy. The solar power will be fed into the venue—which also hosts the Arena Football League’s Washington Valor, WNBA’s Washington Mystics, and the Georgetown Hoyas men’s basketball team, as well as concerts and other events—from a third-party offsite solar facility in Frederick County, Maryland. The deal, which also comes with solar renewable energy credits, means that the Verizon Center will be powered with 25 percent solar energy. Monumental’s contract with WGL Energy could prove to be a win-win for both entities, but especially for the environment and the renewable energy cause. The venue will get 4.7 million kilowatt-hours from 3.5 megawatts of the solar facility. WGL Energy projects that the solar power will curb carbon emissions by the equivalent of removing 700 cars in a one-year span. That the Verizon Center will receive a quarter of its energy from a renewable source is notable especially given that sports venues are often massive consumers of electricity, according to Abigail Ross Hopper, who leads the Solar Energy Industries Association. Professional hockey and basketball games often involve repeated flashing and dimming of stadium lights. Arenas also maintain digital ad boards around the seating bowl and a large quad-screen videoboard. WASHINGTON, DC, January 14, 2016 – Zoetic Global, a US-based project developer, has executed a 20-year power purchase agreement with the Electricity Company of Ghana (ECG) for 100 Megawatts of additive power generation at the nation’s Akosombo Dam on Lake Volta. The project will involve an array of modular hydrokinetic turbines to be deployed in the post-dam wash of the Akosombo Dam. The technology being used is designed for high efficiency power generation from flowing water and will leverage existing infrastructure at the dam site including grid connections, access roads, and on-site maintenance buildings. Zoetic is a hydrokinetic project developer utilizing floating, portable, modular units that are placed in the post-dam flows of existing hydro power plants. By leveraging existing infrastructure, Zoetic’s goal is to focus on the substantial amount of energy potential located in the post-dam wash.
America’s electric cooperatives are dedicated to providing safe, reliable and affordable energy to our consumer-members on a not-for-profit basis. Unlike investor-owned utilities, which seek to generate profit for outside investors, we–as cooperatives–are owned by the people we serve and put their interests first. This fundamental difference shapes everything that we do. America’s 838 distribution cooperatives provide electricity to an estimated 42 million people in 47 states. Their service territories, which collectively cover 56% of the nation, are highlighted in this map. Employ 72,000 people in the U.S.
A critical component of electric cooperatives is the time-tested model of democratic member control. 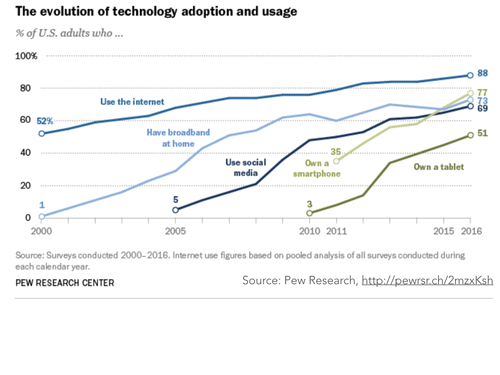 In an era of rapid technological and political change, though, there’s no reason for the model to stay static. And, it’s always helpful to examine current practices. Those are the ideas behind a 20-member task force commissioned by NRECA and theNational Rural Utilities Cooperative Finance Corporation to examine the co-op governance process. “As member-owned, not-for-profit entities, electric cooperatives benefit from open and transparent governance and the positive involvement of the communities they serve,” NRECA CEO Jim Matheson said. Sheldon C. Petersen, CEO of CFC, said the task force’s work will build on the governance practices that are essential parts of the cooperative model. The panel held its kickoff meeting on Feb. 26 in San Diego, in conjunction with the75th NRECA Annual Meeting, where Matheson and Petersen welcomed it and outlined its mission. It has representatives from each region appointed jointly by the two association CEOs from distribution co-ops, statewide associations, and G&Ts. According to Matheson, the selections were made with attention toward diversity in geography, demography, length of board or cooperative service, system size, professional background, and other factors. The chairman is Bob Schwentker, senior vice president and general counsel at the North Carolina Association of Electric Cooperatives and North Carolina Electric Membership Corp. in Raleigh. Schwentker also chairs the Electric Cooperative Bar Association Advisory Board. Among the areas of review are director nominations; director elections; board meetings; board composition, responsibilities of a board of directors; director qualifications and compensation; and member access to meetings and co-op information. The task force is based on the principle that cooperatives are democratic organizations owned and controlled by their members. “The local ownership and local control of electric cooperatives leads to empowered local communities,” Matheson said. In December 2016, the NRECA Board adopted a resolution recommending that NRECA and CFC create and support the member task force. The CFC Board adopted a similar resolution. Task force members said they expect to seek input from electric co-ops across the country regarding governance efforts, practices, and challenges throughout the entire cooperative community. The next meeting is set for March 21-22 at NRECA headquarters in Arlington, Virginia. At least two other full group meetings will occur, with the task force scheduled to complete its work in 2017. Its report will be shared with member systems. If you have a comment, question, or concern to share with the task force, send it togovernance@nreca.coop. Steven Johnson is a staff writer for NRECA. Karlee Weinmann, Research Associate for the Energy Democracy initiative at the Institute for Local Self-Reliance, delivered a presentation in New Orleans, Louisiana on March 28th, 2017 at an event called Decarbonizing the Electric Grid. In her presentation she discussed the untapped potential for rural electric cooperatives to democratically engage with their member-owners, commit heavily to renewable energy, and lift up their stories in the energy industry. At the end of her presentation she encourages attendees to see the ideals of rural electric cooperatives’ commitment to renewable put into action by a REC in rural Iowa, you can watch the short video here. You can find a video of the presentation and slides and a collection of the slides below. This post originally published at ilsr.org. 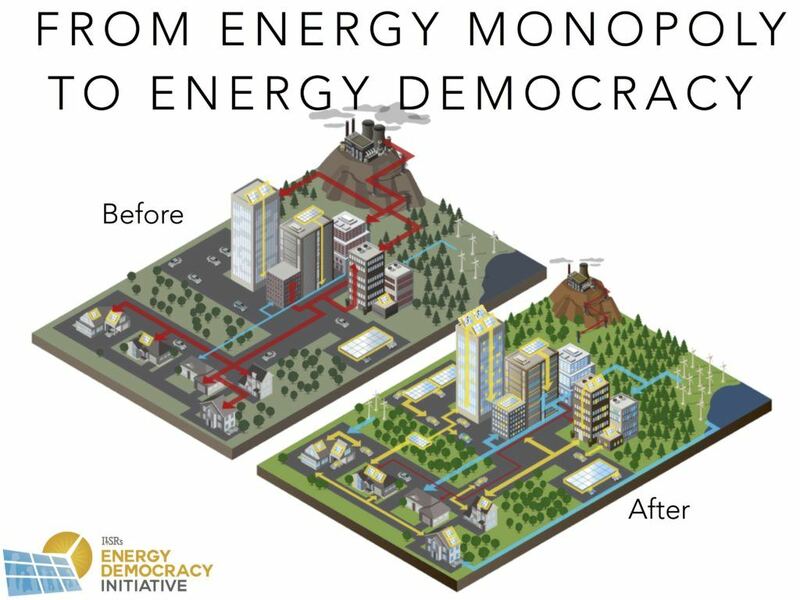 Subscribe to our weekly Energy Democracy update or follow us on TwitterorFacebook. Nick Stumo-Langer is the Communications Manager for the Institute for Local Self-Reliance working with all five initiatives. Living on multiple forms of social media, he operates and manages ILSR’s Facebook and Twitterprofiles as well as pitches our reports and experts for reporters. A 2015 grad of St. Olaf College, Nick is a native of White Bear Lake, MN. Is the U.S. on the cusp of a clean energy revolution that will fundamentally change how we live, work, and get around? For one, the electric mot or lasts substantially longer — it can handle 1 million miles versus the 200,000 for an internal combustion engine, he said. 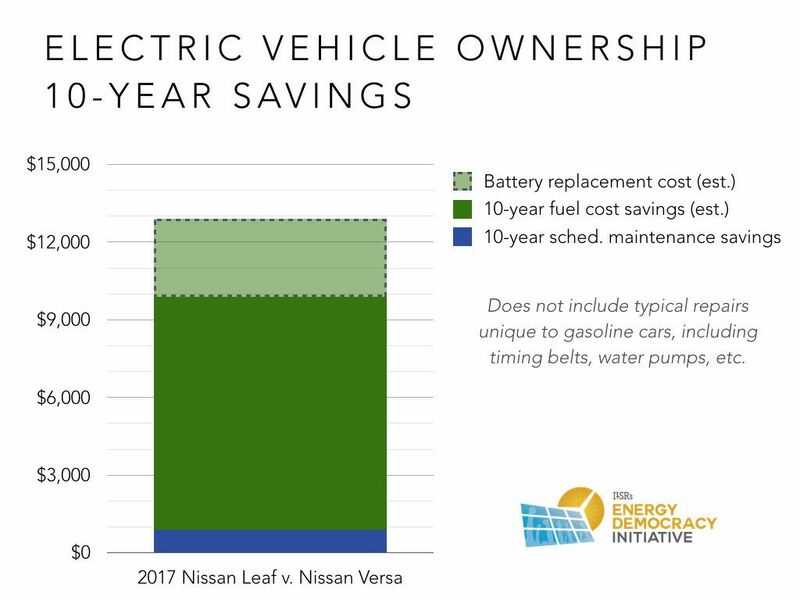 They are substantially cheaper to run on a per-mile basis and generally see lower maintenance costs (see the chart below from our new report). 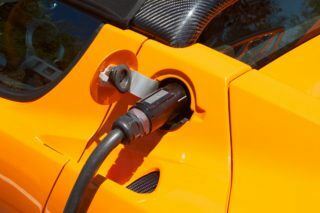 At the same time, they can store energy to power drivers’ homes (and vice versa), an impossibility for traditional cars. This article originally posted at ilsr.org. For timely updates, follow John Farrell or Karlee Weinmann on Twitter or get theEnergy Democracy weekly update. Even as the Trump administration tries to roll back climate and clean air protections, many states are moving forward with ambitious programs. California has been at the frontlines of climate action, passing tough targets and standards, with plans to go further. Click the link below to take a look at California’s climate leadership—and the important role states play in the fight for our planet’s future. This entry was posted in Uncategorized. Bookmark the permalink. Post a comment or leave a trackback:Trackback URL. Hackers allied with the Russian government have devised a cyberweapon that has the potential to be the most disruptive yet against electric systems that Americans depend on for daily life, according to U.S. researchers.The malware, which researchers have dubbed CrashOverride, is known to have disrupted only one energy system — in Ukraine in December. In that incident, the hackers briefly shut down one-fifth of the electric power generated in Kiev. Dragos has named the group that created the new malware Electrum, and it has determined with high confidence that Electrum used the same computer systems as the hackers who attacked the Ukraine electric grid in 2015. That attack, which left 225,000 customers without power, was carried out by Russian government hackers, other U.S. researchers concluded. U.S. government officials have not officially attributed that attack to the Russian government, but some privately say they concur with the private-sector analysis. “The same Russian group that targeted U.S. [industrial control] systems in 2014 turned out the lights in Ukraine in 2015,” said John Hultquist, who analyzed both incidents while at iSight Partners, a cyber-intelligence firm now owned by FireEye, where he is director of intelligence analysis. Hultquist’s team had dubbed the group Sandworm. “U.S. utilities have been enhancing their cybersecurity, but attacker tools like this one pose a very real risk to reliable operation of power systems,” said Michael J. Assante, who worked at Idaho National Labs and is a former chief security officer of the North American Electric Reliability Corporation, where he oversaw the rollout of industry cybersecurity standards. The malware is like a Swiss Army knife, where you flip open the tool you need and where different tools can be added to achieve different effects, Gunter said. Betty Ann Kane Chairman (PSC) Letter To Chairman Mendelson DC Council To Reverse7.5 million from the Renewable Energy Development Fund and re-programed it to the District’s general fund. I am writing to repeat my strong opposition to your proposal to take $7.5 million from the Renewable Energy Development Fund and move it to the General Fund in the FY 2018 budget. Please vote tomorrow to right this wrong. Because it is wrong—very wrong. The money in the Renewable Energy Development Fund is restricted by law for use in developing renewable energy resources, and in particular to support the Solar For All program to lower the electricity bills of at least 100,000 low income District resident customers. The Renewable Energy Development Fund was specifically set up by the Council to operate without fiscal year limitation. The Fund is SUPPOSED to have a balance at the end of the fiscal year—it’s the best way to allow multi-year planning and commit support so projects that don’t have to stop and start every 12 months. The money in the Renewable Energy Development Fund comes from electricity ratepayers. Retail electricity suppliers have to pay the Alternative Compliance Fee into the Fund—and pass the cost on to their customers– because there are not enough solar facilities in the District from which they can purchase Solar Renewable Energy Credits. So taking the money sets up a vicious circle—it isn’t used to support solar facilities, so there are fewer facilities with SRECs to sell to suppliers, so the suppliers and their customers have to pay more compliance fees, never closing the gap and costing customers more and more each year. DC customers paid $15 million extra because of the shortfall in DC-based solar facilities in 2016. Our consultant estimates that DC residences and businesses already pay 10% more for electricity because of the cost of RPS including the Alternative Compliance Fee. Saying that it is okay because more money will come in next year to pay for this year’s projects doesn’t help either. It just means that customers are paying twice for the same thing. The Council raised the Alternative Compliance Fee last year, keeping it at its high level through 2023. The least you can do is guarantee that it will all be used for its intended purpose, to develop more renewable energy for all parts of the city and eliminate the growing shortfall of DC based solar—and the need for more and more fees to be passed on to electricity customers. After the embarrassing report of the DC Auditor last year, which found that almost $40 million had been diverted by the Council from the REDF in its initial years, I was pleased to see that the practice had stopped in fiscal 2017 and was not proposed by the Mayor for fiscal 2018. Whatever could be a justification for proposing this wrong practice again? The Renewable Energy Development Fund is not a piggy bank to be raided at will. Please reverse this wrong decision. The Trump administration wants to sell the Washington Aqueduct, stirring fears among some that the White House’s passion for privatization could mean higher water bills for 1 million residents in the District and Northern Virginia. But the plan, buried in a few short lines in a budget proposal of more than 1,200 pages, may lead to a different outcome. Some officials in the District want the U.S. Army Corps of Engineers, which operates the aqueduct, instead to turn over the facility to D.C. Water, a public utility. In that case, water rates would not increase as much because there would be no need to earn a return for investors, according to officials and private analysts. But there’s a catch: D.C. Water would want to pay the federal government far less than the $119 million than the administration wants from the sale. The aqueduct proposal is an example of the hurdles facing the Trump administration’s ambitious plan to privatize public assets, such as roads and bridges. The administration would then use proceeds from the sales of the assets to fund new infrastructure projects. The White House also supports privatization to promote local control and market incentives. It isn’t clear whether Congress will go along with its plans, including for the aqueduct. The administration’s proposal to “divest” of the facility was barely noticed when the full budget proposal was issued May 23. The Corps of Engineers has run the aqueduct since the conduit began operation during the Civil War. The network of intakes, pipes and treatment plants carries water from the Potomac River, at Great Falls and Little Falls, to the Dalecarlia, Georgetown and McMillan reservoirs. The water is sold to D.C. Water and other utilities that serve all households in the District and Arlington, and some in Fairfax. The Washington Aqueduct employs 140 people and is designated as a National Historic Landmark. Divestiture would not save the federal government money in year-to-year costs, because the aqueduct receives no federal subsidies. Payments by customers cover all its expenses, for both operations and investments. The administration said divestiture would end the outdated practice of having the Corps of Engineers play a role in supplying drinking water to civilians. “Ownership of local water supply is best carried out by state or local government or the private sector, where there are appropriate market and regulatory incentives,” Douglas W. Lamont, a senior official in the office of the Secretary of the Army, said in May 24 testimony to a House Appropriations subcommittee. EPA Administrator Scott Pruitt—who, as Oklahoma Attorney General, sued the EPA fourteen times to block crucial pollution limits—has launched yet another attack on clean air and climate protections. He has officially suspended vital air pollution safeguards that establish common-sense leak detection and repair requirements for new and modified oil and natural gas facilities—safeguards that protect Americans from dangerous methane, smog-forming volatile organic compounds, and toxic and carcinogenic air pollutants like benzene. We fought hard to get these protections finalized just last year. We can’t let him take them away. Take action today, and tell Scott Pruitt: It’s your job to protect Americans, not polluters. More than 18,000 new wells have been newly drilled or modified since September 18, 2015—the date after which such sources would be subject the standards Pruitt is attacking. Of these, more than 11,000 are wells currently producing oil and gas in states without any state-level leak detection or repair standards—meaning they will be free to continue emitting unlimited pollution. This decision is disastrous for the climate. The methane pollution that leaks out is a powerful driver of the climate crisis—responsible for about 25% of the warming we’re experiencing today. And over the first twenty years these emissions remain in the atmosphere, they will have the same climate impact as over 300,000 cars driving for one year or 1.5 billion pounds of coal burned. It puts Americans’ health at risk. Ozone, known more commonly as smog, forms when volatile organic compounds and nitrogen oxides mix in sunlight. As we breathe that in, we’re damaging our lungs and hearts. Pruitt’s suspension will lead to thousands of additional tons of smog-forming pollution, at the height of the summer ozone season—and almost 2,000 of the wells covered by the suspension are located in areas that do not meet EPA’s 2008 national air quality standards for ozone. And it eliminates a common-sense, highly cost-effective program. The costs of this leak detection and repair are quite small, with companies providing these services for just $250 per well site—while economists estimate that the average annual revenue for each of these wells is approximately $3 million. <p “=”” “font-size:15px;”=””>We are fighting this attempt to revoke the protections Americans deserve with all our might. Shortly after the suspension of safeguards was published yesterday morning, EDF and a coalition of health and environmental organizations filed an emergency legal challenge to block EPA’s suspension. But we need your help to surround the Administration with criticism from all sides: Write Scott Pruitt today—and demand that he restore these vital protections! TELL CHAIRMAN MENDELSON: SUPPORT SOLAR FOR ALL PROGRAM. Last week, the D.C. Council Chair, Phil Mendelson, took $7.5 million from the Renewable Energy Development Fund and re-programed it to the District’s general fund. This action would significantly slow further development of renewable energy in the District. This backroom deal could specifically harm the District’s “Solar for All” Program. Solar for All, passed unanimously by the Council last summer, set an ambitious goal of using solar to offset energy costs for 100,000 low-income residents. This program would help families stay in their homes, create good local jobs, and make D.C. a national leader in solar. Sign the letter below to urge Council Chairman Phil Mendelson and the D.C. Council to fix this terrible mistake. SRECTrade Tom MacKenty, Manager, Business Development and Operations Will Be A Guest On Solar Now And The Future 6/7/17 11:30 a.m.- 12:00 p.m. est. SRECTrade is one of the largest SREC transaction and management firms in the industry, with over 301 MW of solar assets under management. The company facilitates the brokerage of spot and forward contract SREC transactions in the over-the-counter markets. SRECTrade’s clients cover all market participants including, competitive electricity suppliers, utilities, project developers, PPA providers, leasing companies, installation firms, and individual commercial and residential system owners. North American Board of Certified Energy Practitioners Executive Director Shawn O’Brien Will Discuss The Impact of Sun Shot Initiative 6/21/17 11:00 a.m.- 11:30 a.m. est. NABCEP was founded in 2002 as a non-profit 501 (c)(6) corporation with a mission “to support, and work with, the renewable energy and energy efficiency industries, professionals, and stakeholders to develop and implement quality credentialing and certification programs for practitioners.” The first NABCEP Solar PV Installer certification exam (now called PV Installation Professional) was administered in 2003. The Solar Heating Installer certification was first administered in 2006 and the PV Technical Sales Professional was launched in 2011. NABCEP administered the Entry Level Program from 2006-2016 when it was re-branded as the NABCEP Associate Program, and our Company Accreditation Program started in 2012. NABCEP is committed to providing credential programs of quality and integrity for the professionals and the consumers/public it is designed to serve. NABCEP’s programs are administered to the highest standards for certifications and testing. The NABCEP PV Installation Professional and Solar Heating Installer Certifications are accredited to the ISO/IEC 17024 standard by the American National Standards Institute (ANSI). NABCEP understands the importance of impartiality in carrying out its certification activities. NABCEP treats all applicants, candidates, and credential holders fairly and impartially by following the policies and procedures outlined in our Certification Handbook and Associate Handbook. The organization maintains policies and procedures designed to manage conflict of interests and ensure objectivity throughout the credentialing process. NABCEP holds all credential holders to high standards of ethical and professional practice. If you have an ethical complaint against a NABCEP Certified Professional or a NABCEP Associate, please review the Code of Ethics & Standard of Conduct. You can submit a claim by using the NABCEP Ethics Charge Statement Form. Review the Trademark and Mark Use Policy for details on NABCEP trademark ownership. If you have an operational or policy complaint, objection, dispute, grievance, disagreement or similar matter, please view theNABCEP Grievance Policy. This policy will apply to any grievance matter concerning an action, policy or practice of the NABCEP as a corporate body; NABCEP candidates or certificants; the NABCEP Board of Directors and Officers; NABCEP executive management and staff; NABCEP Committee members; and NABCEP volunteers and representatives acting on behalf of the NABCEP (parties). NABCEP does not endorse, sponsor, or otherwise support the services or products of any individual or organization, including those who provide an Internet link to the NABCEP website or those who sponsor NABCEP with financial, in-kind services, or other forms of support. NABCEP is not in any way responsible for such services or products, or the representations made by those individuals or organizations concerning their services or products. NABCEP is the national certification organization for professional installers in the field of renewable energy. NABCEP issues voluntary certification credentials to those qualified professionals who satisfy eligibility requirements established by the Board of Directors. NABCEP certification is not a professional license issued by a government agency, and does not authorize a certificant to practice. NABCEP certificants must comply with all legal requirements related to practice, including licensing laws. You may have heard talk over the past couple of months about a renewable portfolio standard (RPS) expansion happening in the District of Columbia. Well, it’s no longer just talk. Back in July, Mayor Bowser signed the initial bill, and it then went to Congress for review. Now, effective as of October 8, B21-0650, the Renewable Portfolio Standard Expansion Amendment Act of 2016, is officially law. What are D.C.’s New Renewable Targets? While the SACP has increased substantially under this law, the devil is in the details. Under the act, D.C. must procure 50% of its electricity from renewable energy by 2032, and the solar requirement is now 5%. At these new levels, D.C. is now on par with other state clean energy leaders like California, New York, and Oregon in regards to RPS goals. Not only does the law increase the renewable requirements, but it also extends the alternative compliance payments for utilities that don’t meet these standards; this acts as a price ceiling in the marketplace. 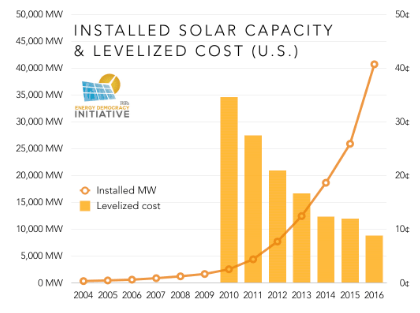 Under Section 6(c)(3), the current $500 penalty for every megawatt hour (MWh) of solar not met is extended to 2023 (reference Figure 1), and for the proceeding 9 years, until 2032, the alternative compliance payments for utilities stay in the couples of hundreds for utilities that don’t meet their requirements. With an ACP that high, one may expect SREC values to hover around $500 for the foreseeable future. Think again; the devil is in the details. As the legislations stands, existing load contracts from five years or less before this new law will still be subject to the old solar ACP schedule (referenceFigure 1), which decreases to an ACP of $350 starting next year. What this load amount will be is still uncertain; it could be large, or it could be small. The point here is that some of the market will be under different compliance obligations than others, and a $500 SREC price is not a safe assumption for SREC pricing in the short term. It might be a future outcome, but those who expected pricing to remain at current levels may be disappointed. While D.C.’s new standards may not result in continued $500 SRECs, at least right away, the new law will help grow solar and other renewables in the District through 2032 and beyond, and the clean energy job market with them. In a statement by Mayor Bowser, her office estimated that the new bill will create 100 new green jobs within just the first year, and that number will increase year over year. On top of that, the new law will have larger societal and environmental benefits. It will help the District meet its Sustainable DC Plan which aims to reduce carbon emissions by 50%. In addition, the new law creates a “Solar for All Program,” to be run by the District Department of Energy and Environment (DOEE). This program hopes to reduce the energy burden for 100,000 low-income households by 2032, and will bring access to renewables to communities that may not have otherwise had the opportunity. Overall, the Renewable Portfolio Standard Expansion Amendment Act is paving D.C.’s renewable future for everyone in the district, and establishing the District as a national leader in forward-thinking energy policy. In summer 2015, DOEE awarded a grant to the Coalition for Green Capital to research innovative tools for financing clean energy projects to help the District meet its climate goals, including reducing greenhouse gas emissions 50% below 2006 levels by 2032. The Coalition for Green Capital recommended the creation of a “green bank” in the District as a key mechanism to help meet the $3 billion of potential energy efficiency and renewable energy projects that exist in the District. Green Banks are new innovative policy tools that states and countries are using to finance projects that will create green jobs, expand solar power, lower energy costs, reduce greenhouse gas emissions and meet sustainability goals. Green banks are capitalized with public funds, which are then used to offer loans, leases, credit enhancements, and other financing services to close funding gaps for clean energy projects. The goal of a green bank is to accelerate the deployment of clean energy technology by leveraging private investment, removing upfront costs, and increasing the efficiency of public dollars. Other green banks in the United States — including those in Connecticut, New York, Rhode Island — have shown impressive success in using smaller amounts of public capital to leverage billions of dollars of private sector funding. Be a breakeven entity, where the revenues earned from financing activity cover its operating costs. Please see the links below to access a Green Bank 101 primer and the full report and presentation from the Coalition for Green Capital. Read about Mayor Bowser’s recent announcement about her plan to make the District of Columbia the first city in the nation to establish a Green Bank. Concentrating solar power uses mirrors and receivers to collect the sun’s energy as heat. Twenty years from now, utilities may depend on fields of mirrors in the desert to produce 24-hour solar power. Concentrating solar power (CSP) technology collects the sun’s energy as heat, which can then be stored and called upon to produce power when needed—even when the sun isn’t shining. The Crescent Dunes power plant in the Mojave Desert is a blueprint for high-tech CSP systems across the world and was originally developed with U.S. Department of Energy (DOE) funding in the 1990s. The plant uses molten salt as a heat transfer fluid and storage medium, which allows it to be incredibly efficient and cost-effective to build. SolarReserve’s Crescent Dunes Solar Energy Plant in Nevada is the first utility-scale facility in the world to use advanced molten salt receiver technology, which was developed with funding from the SunShot Initiative. DOE’s SunShot Initiative continues to drive advancements in CSP, including these five innovations that could dramatically improve utility-scale, concentrating solar power. The supercritical carbon dioxide (sCO2) Brayton power cycle allows for increased efficiency within power plants. Instead of steam that’s currently used in turbines, this technology uses sCO2. This dense fluid requires less power to drive engines and significantly increases the thermal-to-electric energy conversion, resulting in more electricity for the same amount of heat. Several SunShot projects are underway to improve power cycles to make them more efficient. Southwest Research Institute (SwRI) is partnering with General Electric on two projects that test new turbomachinery designs. The first one develops the expander for a sCO2 cycle and the otherfocuses on the compressor, which pressurizes the sCO2 fluid and increases the temperature. SwRI is also working with Hanwha Techwin to reduce manufacturing costs and improve efficiencies in acompressor-expander design to make CSP technology more commercially viable. Some plants use molten salt to collect heat and store it in tanks for later use. The hotter these salts get, the more energy they can produce, resulting in electricity at lower prices. However, when salt reaches very high temperatures, it can become corrosive causing equipment damage at a CSP plant. Researchers at the University of Arizona are working to develop a salt mixture that reduces the amount of corrosion in storage tanks while still reaching temperatures higher than 800°C. Savannah River National Laboratory also successfully developed corrosion mitigation strategies that make CSP systems last longer by using magnesium and zirconium. These developments will continue to make molten salts a viable option for energy storage. Instead of using molten salts, researchers at Sandia National Laboratories are testing a cascade of particles called proppants in a solar receiver. Proppants are made from iron oxide and silica, a material similar to sand, and can potentially reach temperatures as high as 1,200°C. So far, researches have been able to reach 840°C and expect to make even more progress as testing continues. This invention won a 2016 R&D 100 Award for being one of the year’s top innovations. The video above shows how proppants are tested in the falling particle receiver and their potential to lower the cost of solar energy. Sunlight reflected from heliostats is shining directly on the particle receiver, which is currently being tested on top of the solar tower at the National Solar Thermal Test Facility. A receiver’s solar-selective coatings control which wavelengths of sunlight are absorbed from the mirrors. Researchers are developing new coatings that will significantly improve power plant efficiency by reducing the amount of light that is reflected away from a plant. This allows the receiver to operate at high temperatures and leads to more electricity generation. Dartmouth College is developing a ceramic coating with long-term anti-oxidation protection that reduces the likelihood of damage to the receiver and achieves a thermal efficiency of higher than 90%. Argonne National Laboratory is also developing coatings that can withstand operating temperatures of 800°C, while maintaining high absorptivity for visible light and low emissivity for infrared light. The lab is using several techniques to ensure that selectivity will last much longer as parts of the coating degrade over time. CSP is most popular in the desert southwest where sunlight is abundant, but so is dust. Frequent washing of mirrors used in CSP plants ensures they are effective. New technology is under development to reduce the need for washing, saving water in the process. Boston University is working on a transparent electrodynamic screen technology that is activated by voltage pulses, charting the dust particles on the surface of the film and removing them by an electrodynamic traveling wave motion. Oak Ridge National Laboratory is also developing a spray-on coating for mirrors, as well as an automated process to apply the spray, which aims to cut dust accumulation in half and greatly reduce the need for washing. Dr. Avi Shultz is the acting program manager for SunShot’s Concentrating Solar Power (CSP) team, which supports research, development, and demonstration of solar thermal components and systems that can enable wide-spread deployment of low-cost CSP with thermal energy storage. Dr.